Hardesty & Hanover Construction Services provided construction engineering to Phoenix Constructors and DCM Erectors for the Port Authority of New York & New Jersey (PANYNJ) World Trade Center Transportation Hub project. Work included structural engineering support for all site logistics, access, and construction issues including the design of temporary bridges, platforms, underpinning, roads, and falsework for this $3.9 billion project. 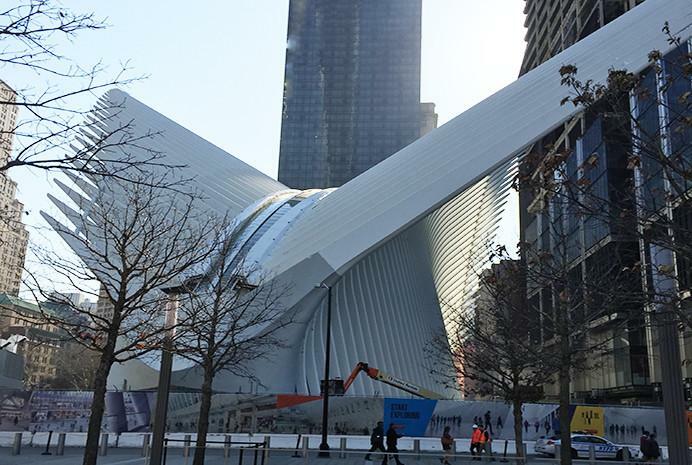 Santiago Calatrava was the project architect. H&H developed innovative solutions to facilitate construction operations on this complex work site with tight site constraints. Work involved extensive coordination with the construction manager, PANYNJ, and several contractors. The hub opened on 3/10/16 to the public, and connects Port Authority Trans-Hudson trains to New Jersey with 11 New York City subway lines and ferry service. H&H won a 2013 ACEC New York Diamond Award for their work.